The Equality Act 2010 introduced a ban on pre-employment medical screening before a job offer is made. Six years on, Katie Wooller, a solicitor at Burges Salmon, looks at some of the more difficult issues this raises for employers and HR. Most employers spend considerable time and money in getting their recruitment right. However, one area where they can come unstuck is how and when to enquire about a candidate’s state of health. Standard recruitment practices used to require a candidate to complete a medical questionnaire when they applied for a job. Evidence suggesting that disabled candidates were discouraged from applying for roles, and candidates who did reveal a medical condition on their application forms were sifted out at an early stage, prompted change. As a result, the Equality Act 2010 introduced a ban on employers asking job candidates questions about their health before they were offered a job. Are there circumstances in which health questions can be asked on an application form? To ascertain whether or not any potential candidate with a disability needs reasonable adjustments to be made to the recruitment process (not the role) to allow them to participate. Most employers ask this, as a matter of routine, in the job advertisement and/or application form and tend to restrict the question to simply asking if any adjustments need to be made without asking for details of the medical condition. To determine whether or not the candidate can carry out a function that is intrinsic to the role, which may, in turn, reveal health issues. This exception is narrow and only relates to a function which is “absolutely fundamental” to the role. The example used by the Equality and Human Rights Commission (EHRC) is that of a candidate for a scaffolder role being asked about their ability to climb scaffolding at height. How should interviewers treat medical information voluntarily offered up by a candidate during an interview? The fact that a candidate brings up their health at an interview does not change the position – discussions around a candidate’s health should not take place before a job offer is made. Where this happens (and the information is not given in the context of discussing an intrinsic function of the job), the manager should explain that he or she does not need to know about a candidate’s health at this stage in the recruitment process and should then move on. Where a medical condition has been revealed, managers need to be aware that they should not make any comments during the interview about the potential impact of that condition on the candidate’s ability to perform the role. 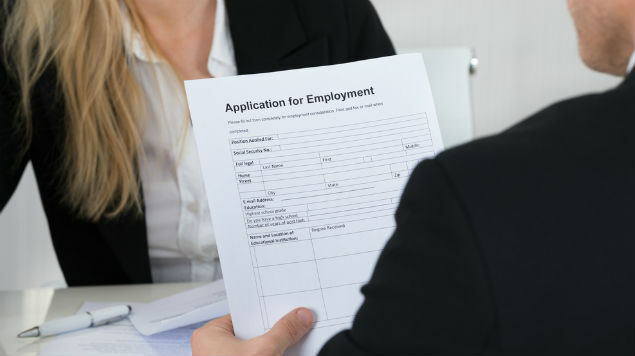 Can an offer of employment be conditional on the candidate passing a medical assessment? The Equality Act restrictions fall away once the employer has offered the candidate the role. As such, an employment offer can be conditional on the individual passing a health assessment. However, if the information reveals that the candidate is disabled, withdrawing the offer may be discriminatory, unless it can be shown that no reasonable adjustment could be made to enable the candidate to perform the role. To help manage the discrimination risk, where possible, use health questions that are tailored to the particular role or, if you do use a generic questionnaire, make sure you base any decision on answers to questions which are relevant to the role. 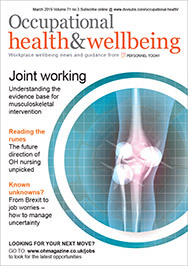 What can you do if an employee subsequently reveals they have an existing medical condition, which they did not mention in the health questionnaire? It can be difficult to rely on inaccurate or misleading answers in this context as the basis for a fair and/or non-discriminatory dismissal. In part, this is because it is not clear whether or not an employee is actually obliged to reveal a medical condition; there is nothing in the Act that requires applicants to disclose their disabilities to employers and the EHRC Code recognises that people with disabilities may be reluctant to disclose them. More extreme cases may justify dismissal where no adequate explanation for the inaccuracy is provided. For example, if the individual holds a role where honesty and integrity can genuinely be said to be a fundamental requirement of the role, or where the impact of the medical condition puts their health and safety or that of others at risk. If it turns out that an employee has a medical condition that prevents them from doing their role (and no reasonable adjustments can be made), the fact that they cannot do the role could justify dismissal, but proper consideration should be given to alternatives, such as whether or not there is a suitable alternative vacancy. What are the consequences for an employer if it does ask pre-employment health questions in contravention of the Equality Act? No specific legal claims arise in the event of a breach of the ban (although discrimination claims may arise indirectly). Instead it is for the EHRC to take enforcement action in relation to any breach. Train your interviewers so they understand what questions they can and can’t ask candidates about their health. Regularly review any health-related questions that are asked of successful candidates to ensure they remain relevant to the role. If a successful candidate does have a disability and reasonable adjustments need to be considered, make sure those deciding how the role can be adjusted understand what compliance with the duty entails. Remember that all information relating to a person’s health will be sensitive personal data for the purposes of data protection legislation. Appropriate consents will need to be obtained to ensure compliance with the legislation. Katie Wooller is a solicitor at Burges Salmon LLP.